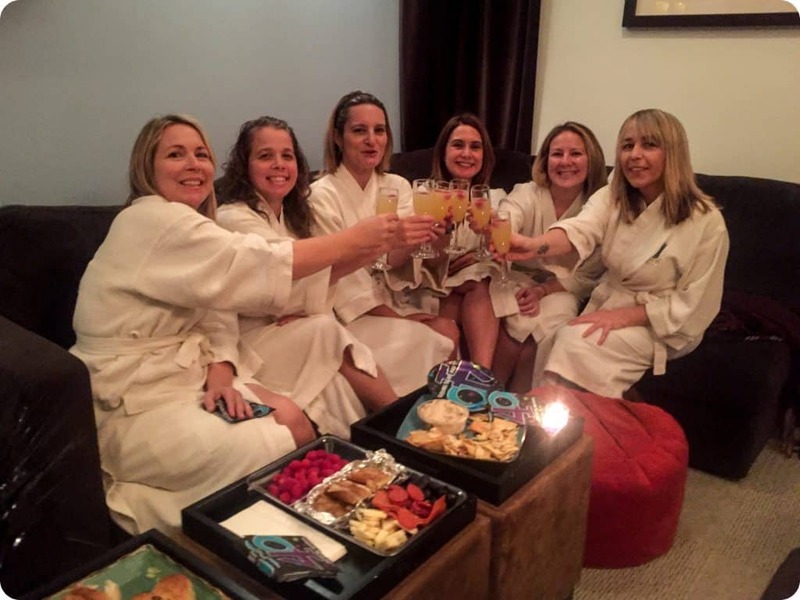 We were so thrilled to host Rachel and her friends as they celebrated Dina’s birthday with massages and facials. Such a nice group! To book your next spa event at Ohm, reach out to an event coordinator via this page. 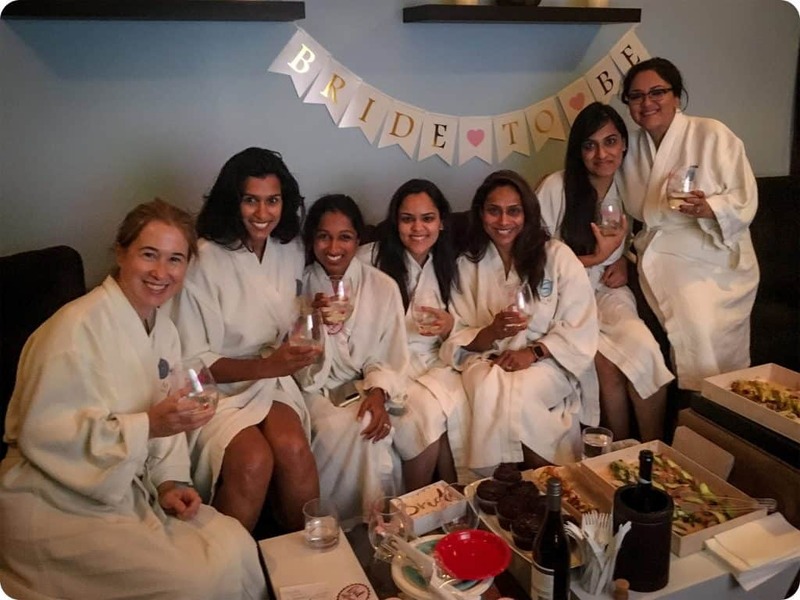 Such a wonderful bridal party organized by Megha for her sister Nikita! A great time was had by all with a mix of massages and facials. At Ohm Spa & Lounge, we love hosting spa parties and have had countless events in our beautiful space. To book your next spa event, simply submit your details here and a spa coordinator will respond ASAP. “All of my worries and stress melted away.” – Stacey L.
Looking for a venue for your birthday party, bridal or baby shower this summer? Ohm Spa has the perfect lounge area to create a relaxing experience for your group. 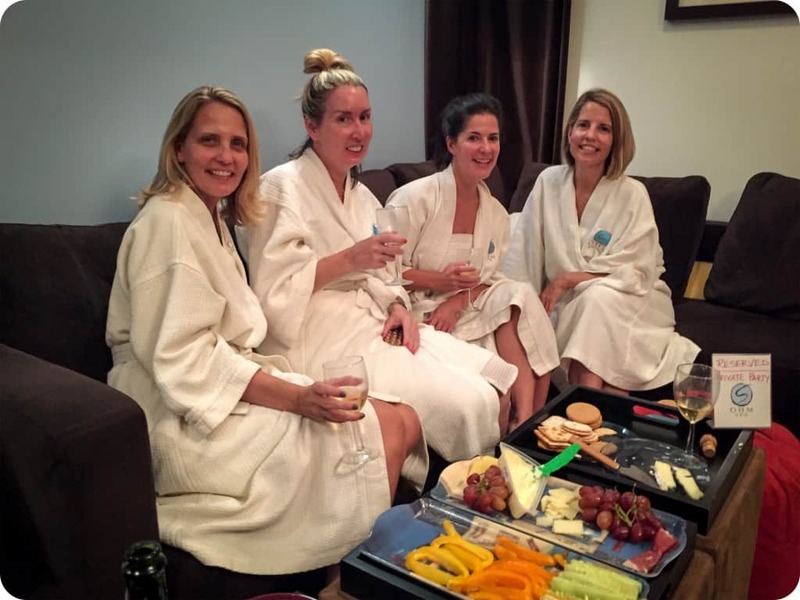 Each guest can receive the treatment they prefer, and you can all relax together before/after your services, with food and beverages of your choice (We are BYOB) 🥂🍾🍷 visit this page for more information and to contact us about organizing your spa day here at Ohm! 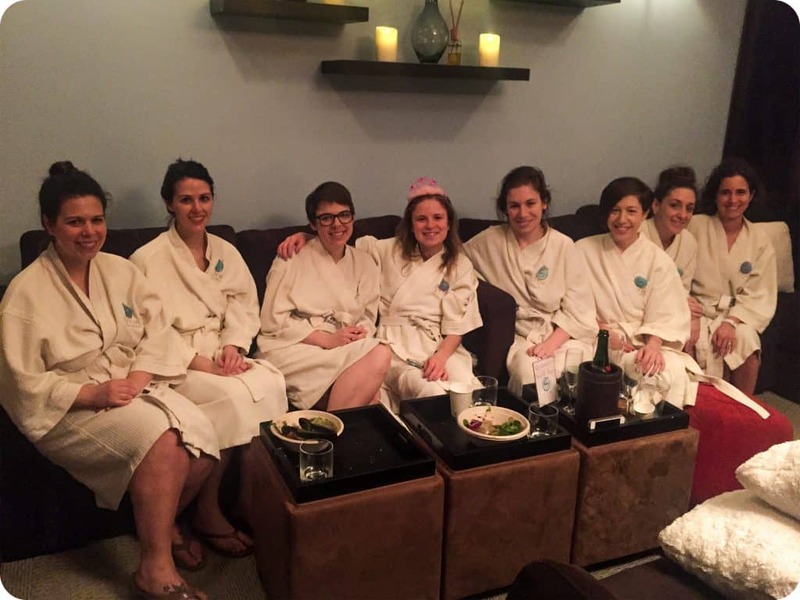 Another fun + relaxing get together at @ohmspa! 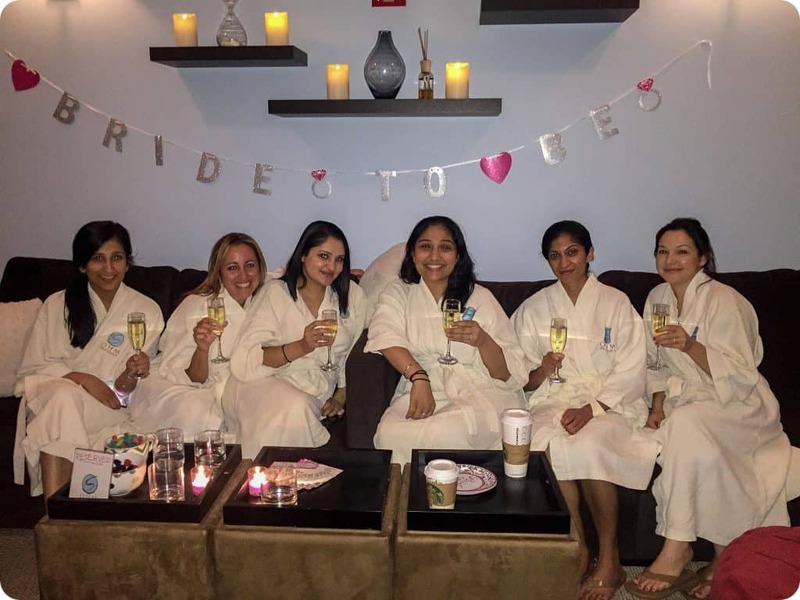 Sandy organized a lovely day for Deidre and her friends for Deidre’s bachelorette party 🎉 Each of the ladies received their chosen treatment, and were also able to spend time in our relaxation lounge visiting together. Gatherings at Ohm Spa are a great way to treat your guests to a unique, luxurious and relaxing experience they are sure to enjoy and remember. Visit our website for more information about booking a group event of your own! Happy Mother’s Day To All The Great Moms! Happy Mother’s Day to all the wonderful Moms all over the world!! ❤️🌎 Here’s @moopykat with her Mama who came in yesterday for some Mother’s Day pampering 💕 we are fully booked for this weekend, but if you need a last minute gift for the special woman in your life, you can buy Ohm Spa gift cards online and have a lovely PDF delivered directly to her inbox. 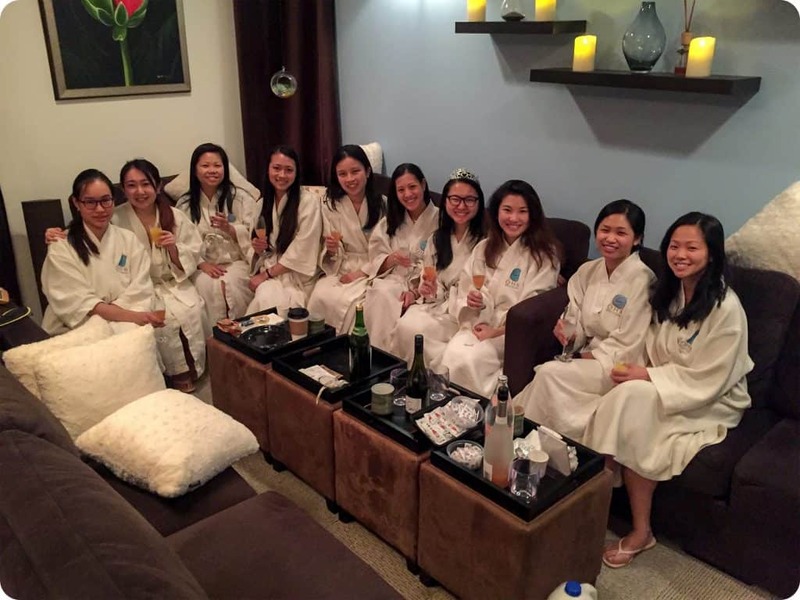 We were so thrilled recently to host Wendy and her best friends for her surprise bridal party! It was a lovely afternoon filled with massages, facials, champagne and snacks. 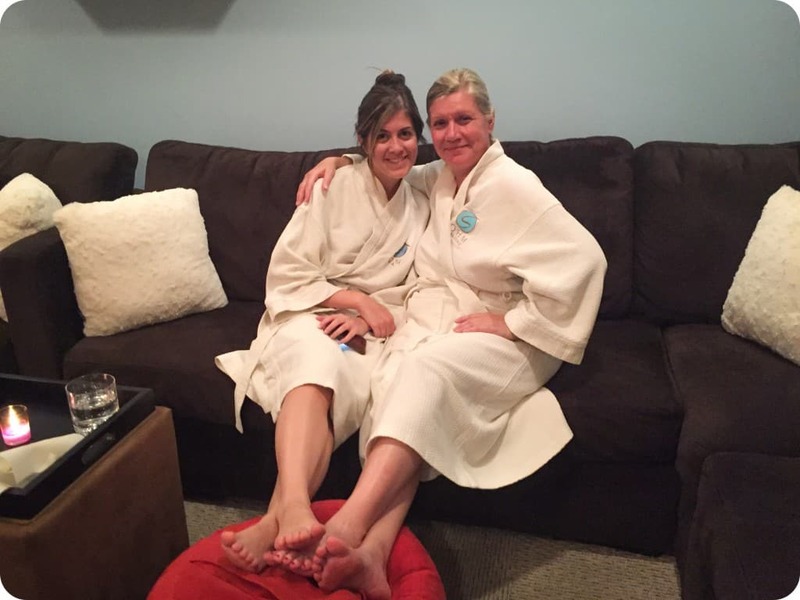 Special thanks to Bonnie for organizing the group and for choosing Ohm Spa! Best of luck to Wendy for your upcoming nuptials! We hope the have the opportunity to see you all again very soon! Congrats To Chris & Annie On The New Baby! Celebrating a birthday is a big deal – but adding in a new baby to the family makes it extra special! 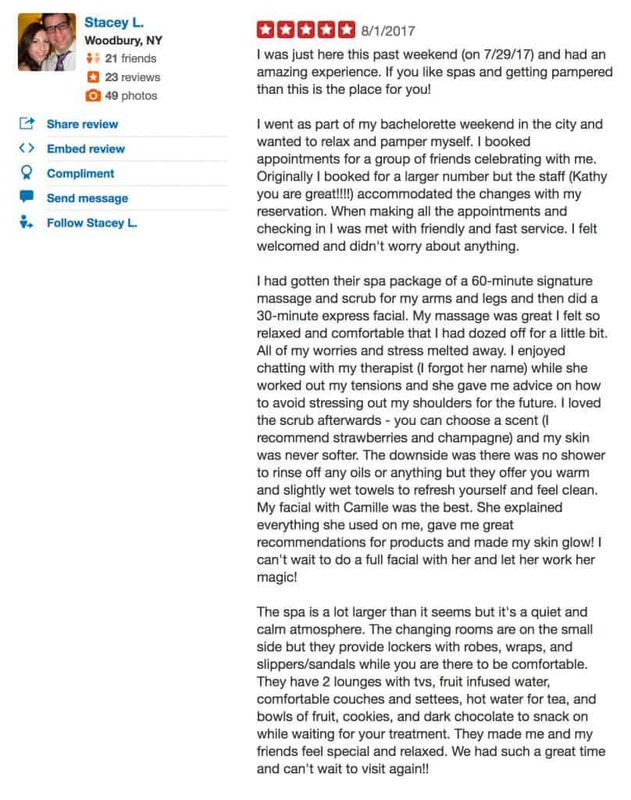 That’s why Chris and Annie came to Ohm Spa & Lounge for some much needed quality time. Ohm Spa specializes in couple’s massages that are perfect for any special occasion. 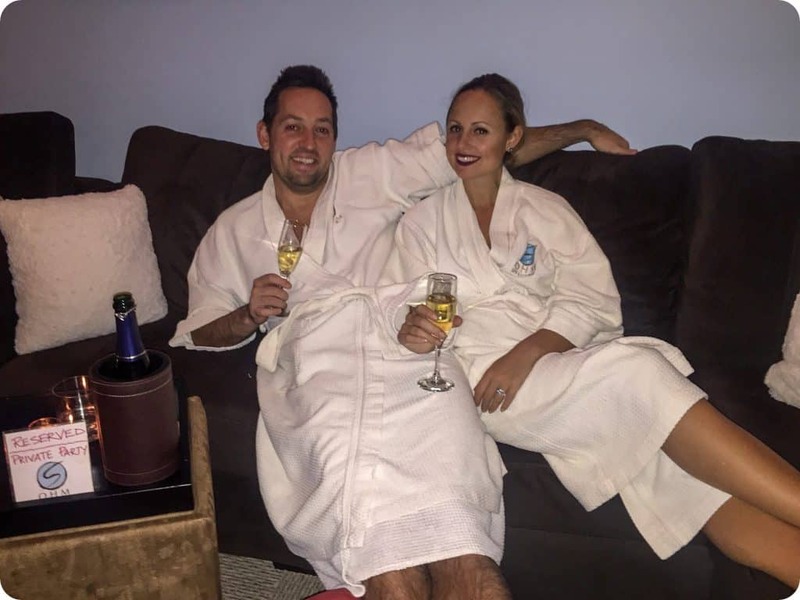 Simply call us at 212-845-9812 and a helpful spa coordinator can help you reserve your personal couple’s retreat! Our best wishes go out to Chris and Annie on their new family! 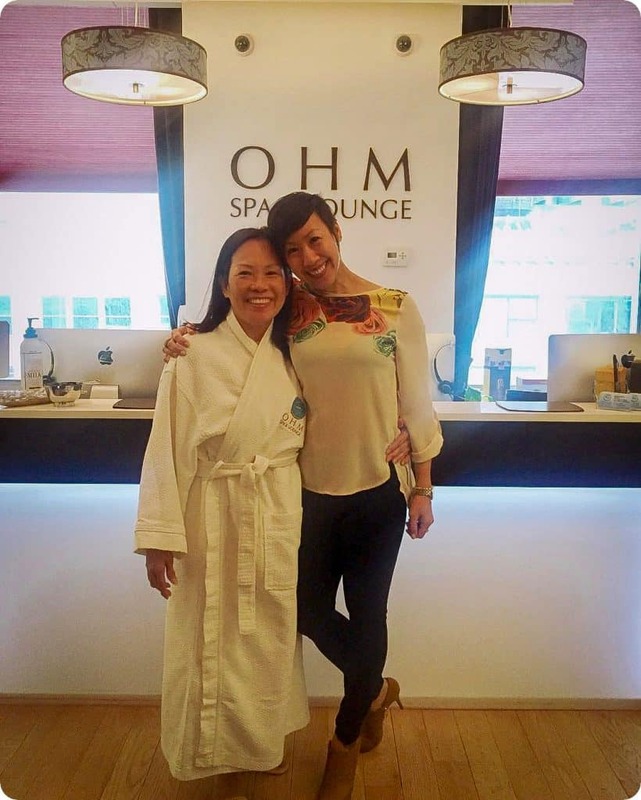 We know you’ll make amazing parents and we hope you have the opportunity to come back and visit Ohm Spa again soon! 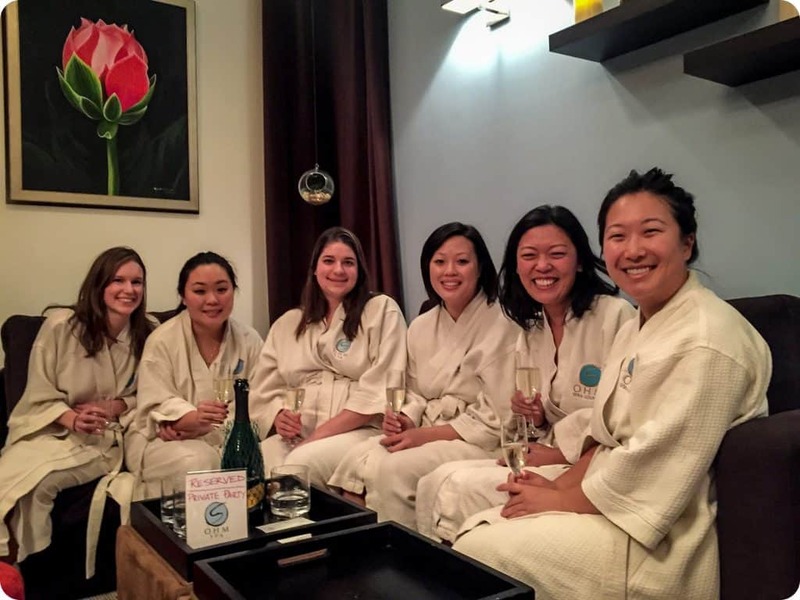 Cathy and her team looking relaxed and refreshed after their recent spa party at Ohm Spa & Lounge! Congratulations to Rosanna on her upcoming wedding! We were honored to host your bridal party for your friends and family. Celebrating a special occasion with loved ones calls for a special venue. That’s why Ohm Spa & Lounge has been the favorite spa in New York for over 10 years. 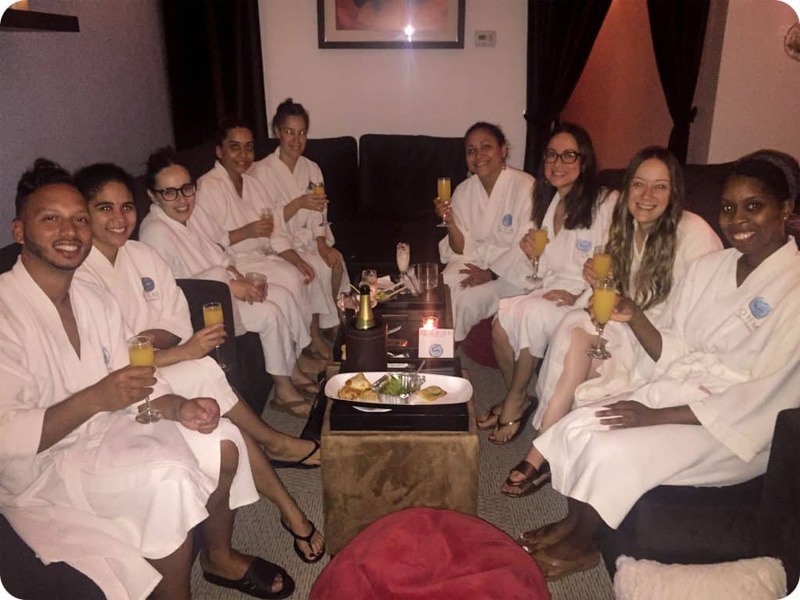 With the best massage therapists, skincare experts and spa coordinators in NYC, Ohm Spa is the perfect spot for your group event. 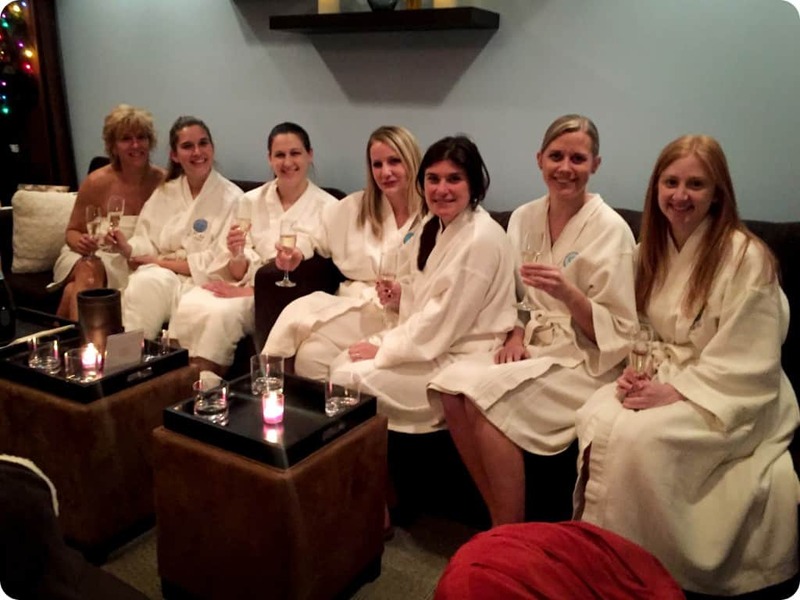 Our dedicated staff of event coordinators and spa hosts can help you organize the ideal spa day for your party. We specialize in therapeutic spa treatments like deep tissue massage, sports massage, prenatal massage, exfoliating facial peels, gentle sensitive skin facials and invigorating body scrubs. Even better, our beautiful lounges give you and your guests the perfect space to gather and relax before, during and after your spa services. Have your next party at Ohm Spa & Lounge and give your guests an experience they’ll be raving about! 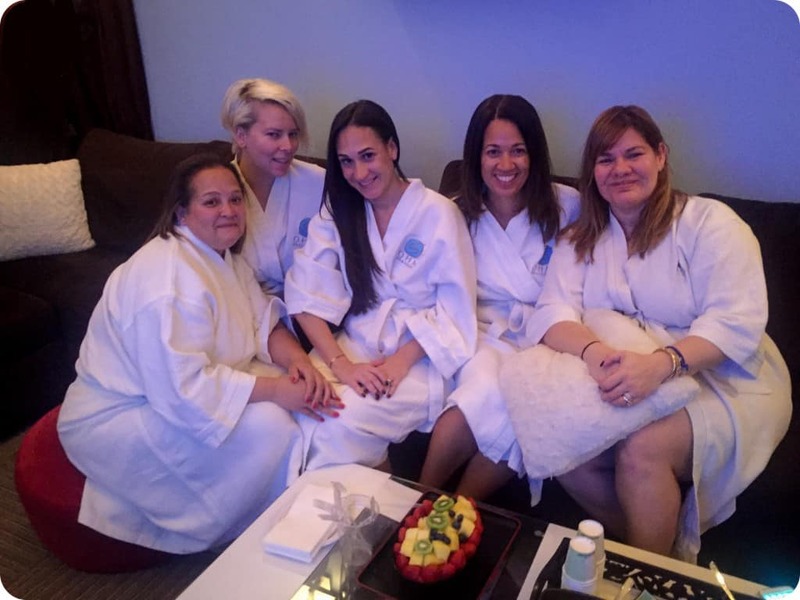 The best way to celebrate friendship is with a spa day at Ohm Spa & Lounge, the most relaxing spa in New York. With a soothing massage, a rejuvenating facial or an entire spa package, we have the perfect spa treatment for you and your BFF’s. Lots of people come to Ohm Spa to celebrate a birthday, upcoming wedding, anniversary or reunion but the truth is you don’t really need any specific reason to come and enjoy a relaxing time at Ohm. Many of our clients come in just because they want to take a break from life and spend some time lounging in our beautiful space. 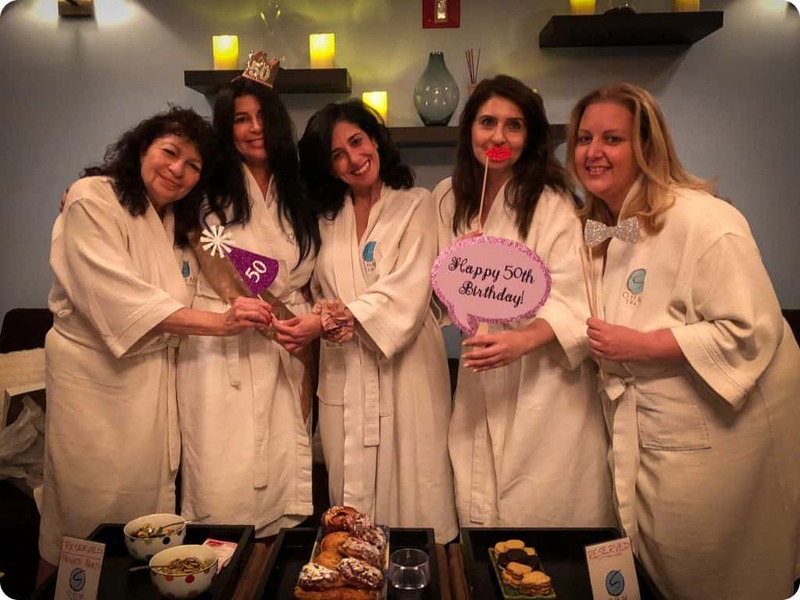 That’s what Tracey and her friends did recently when they just wanted to enjoy a pampering experience and create a wonderful memory together. 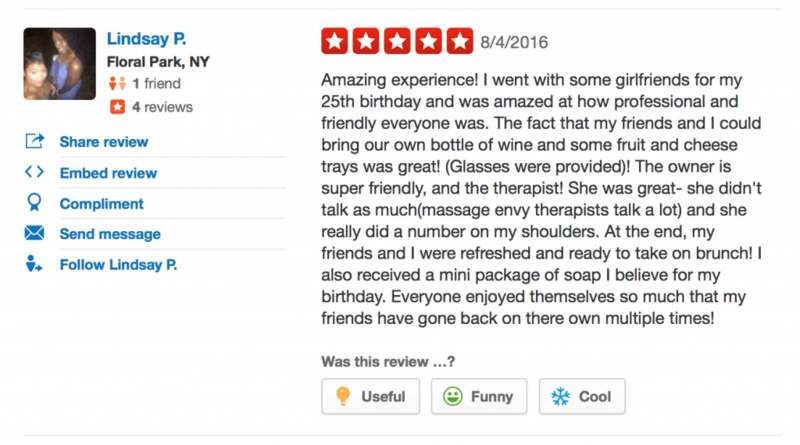 Whatever brings you to Ohm, you’ll be in the skilled hands of the most gifted and talented staff of licensed massage therapists and estheticians in New York. 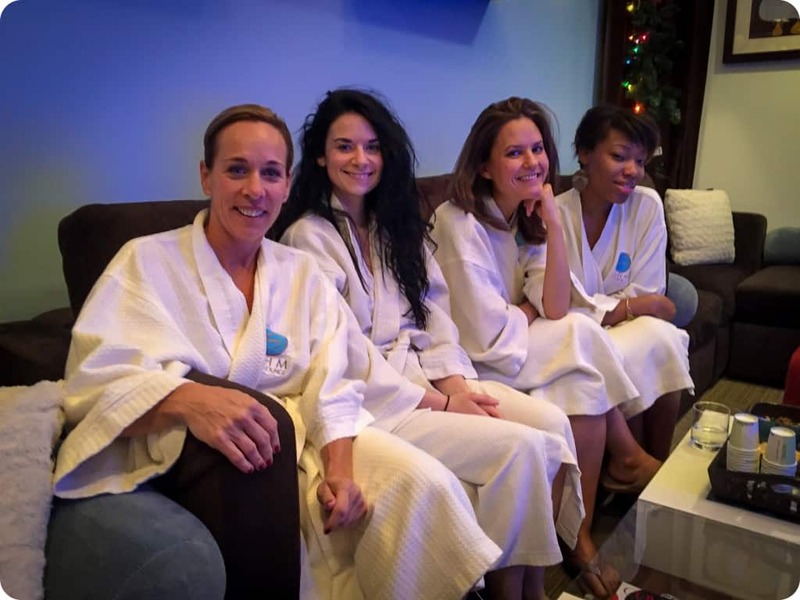 Book your spa day now by calling 212-845-9812 and our friendly staff of spa coordinators will be happy to help you reserve your appointment. It’s always great to a celebrate special occasion at Ohm Spa & Lounge. We host birthdays, anniversaries, bridal parties and corporate events all the time. But you don’t need a special occasion to enjoy come quality time with your friends at the spa. Sometimes you just need to get away from your everyday stresses for a few hours and kick back at New York’s most relaxing spa. 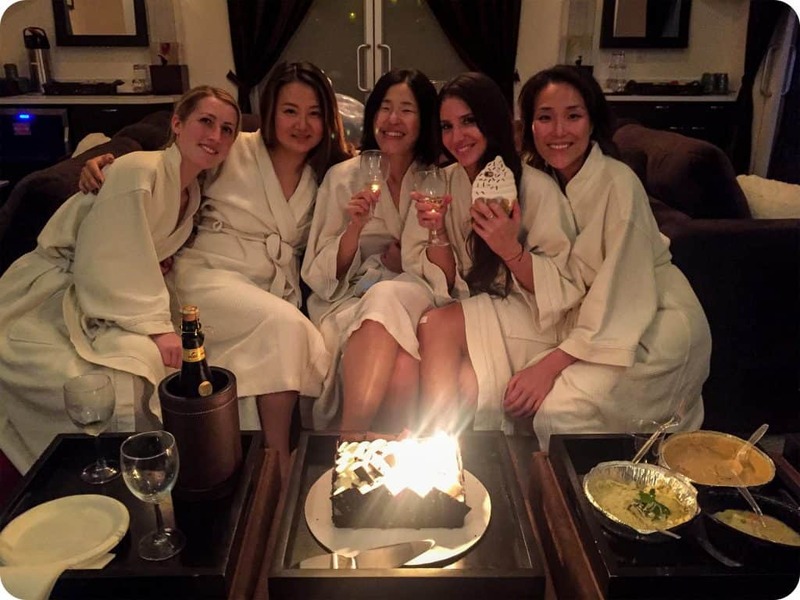 That’s what Lisa and her friends did recently when they came to Ohm Spa & Lounge for a relaxing night out. Between our selection of massages, facials and spa packages, you and your friends are sure to have an amazing time. And in addition to some of the most talented spa therapists in New York, Ohm Spa & Lounge has a beautiful space to host your event. 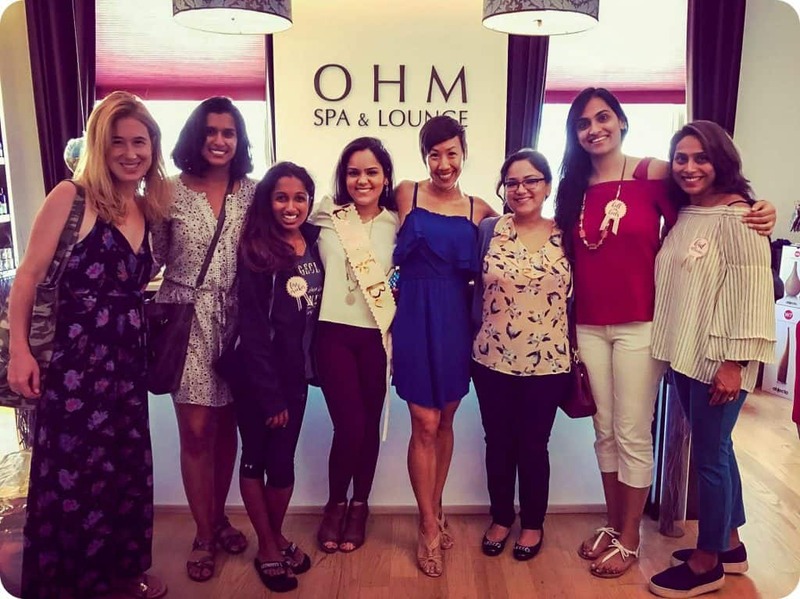 For over 10 years, Ohm Spa & Lounge has been performing the best massages, facials, body scrubs and waxing in NYC and we know how to throw a great spa party. The next time you’re in need of some R&R – whether for yourself, with your SO or with a group of BFF’s – consider a visit to Ohm Spa & Lounge. For group events, simply fill out this form for additional details. The rest of your hectic life (work, kids, emails, etc) will still be there when you come out. But you’ll be in a much more relaxed state to tackle your responsibilities after a visit to Ohm Spa. 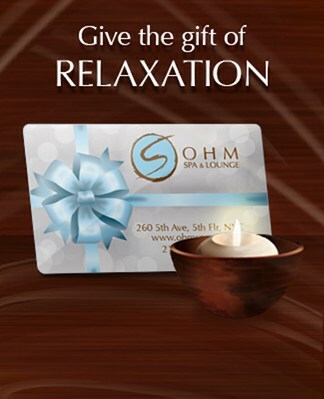 Celebrate With a Spa Day at Ohm Spa & Lounge!